The common network components – BootP/DHCP, DNS, and NATReg – are the functions for managing the networks through Internet Protocol (IP) assignment. Each computer or device in a network has its own identity, which is its IP address. Network administrators use IP addresses to manage and troubleshoot network services. BootP/DHCP: The DHCP (Dynamic Host Configuration Protocol) service provides automatic IP address assignment to computers and other network attached systems. BootP/DHCP also is used to assign of static IP addresses – addresses that need to remain the same. DNS: The DNS (Domain Name System) is how domains named with words (example: “okstate.edu”) are translated into an IP address. Domain names using words are easier for people to remember than are strings of numbers (IP addresses), which is what digital systems use. NATReg: Network Address Translation Registration (NATReg) is used to register devices by connecting private IP addresses to public IP addresses. Network Address Translation (NAT) is a networking technology for hiding internal network infrastructure from the external internet community. In some cases, computers and devices with private IP addresses need to be visible. In those cases, they are registered using NATReg. See below in Getting Started. 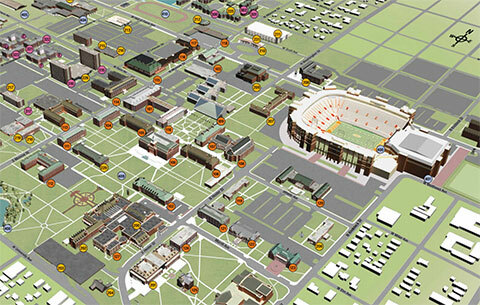 To register your server or device so that it shows in the public internet community,” go to http://natreg.okstate.edu. The NatReg application requires the applicant to acknowledge and confirm that they agree to the responsibilities of using the server or device. The responsibilities are based upon the OSU Appropriate Use policies. The applicant will be held to the highest standards of these policies. Host name selection is another part of the process. The applicant will choose an appropriate host name based on the guidance in the application. Once IT processes and approves the application, IT will assign a public IP address to the device.